TAWI manufactures TAWI Overhead Bridge Cranes consisting of monorail, single girder cranes both in steel and aluminum, twin girder cranes, curves, low built systems and floor mounted constructions.Our cranes and jibs are manufactured based on the LR-System profiles. The reliable and cost effective steel profile LR120/170. It is produced from cold rolled, single piece high strength steel. The self-adjusting joint concept is designed to simplify installation. Our automatic powder coating line ensures high quality resistance to corrosion and long lifespan. With four basic track sizes and self-adjusting joint concept an optimized combination is always guaranteed. 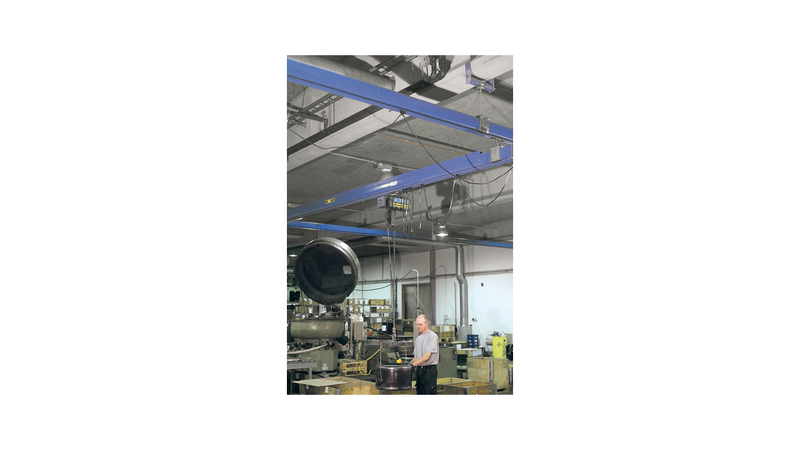 Offers a span up to 8 meters between supports for ceiling structures with infrequent support points.